If there's one film that could spark change for Asian representation in Hollywood, it's this. Kevin Kwan’s best-selling debut novel Crazy Rich Asians, published by Anchor in 2013, got its film adaptation this year. For those who haven’t seen the film or read the book, here’s the plot: Rachel (Constance Wu) travels to Singapore with her boyfriend Nick (Henry Golding) to attend his best friend’s wedding and eventually meet his family. She has no idea that Nick is one of Singapore’s most eligible bachelors, or that his family is one of the wealthiest clans in Asia. Rachel is thrown out of her element when she meets Nick’s steely, intimidating tiger mom, Eleanor (Michelle Yeoh). 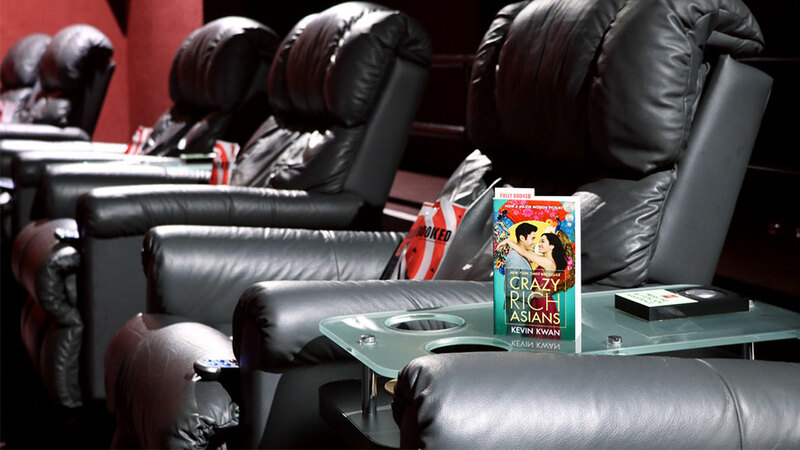 Crazy Rich Asians gives a charming, funny, and irresistibly fun look inside the extravagant, high-rolling antics of Asia’s elite. If that doesn’t convince you to check it out, here are five more reasons to do so. 1. All the fashion moments, especially Araminta and Colin’s wedding and reception are an indulgent, breathtaking display of wealth and excess. You’ll get inspired, and mostly drool over everything. 2. It’s a visual love letter to Singapore, as it shows off the city’s iconic landmarks and cuisine. Whether or not you’ve been to Singapore before, you’d want to travel there again. In the meantime, the film would have to do. 3. You’ll laugh, you’ll cry, and you’ll get your heart broken with the main characters Nick and Rachel. It’s a classic romantic comedy at heart. 5. Crazy Rich Asians is the first major all-Asian Hollywood production in almost 25 years. That makes it a defining and refreshing work, since it tells the story of some of the Chinese immigrants in Singapore. It might just mark a watershed moment for Asian representation in Hollywood. Crazy Rich Asians and the rest of the Crazy Rich trilogy by Kevin Kwan are available at Fully Booked stores and Fullybookedonline.com. For more news on books, follow Fully Booked on Facebook, Twitter, and Instagram. This article is sponsored by Fully Booked.